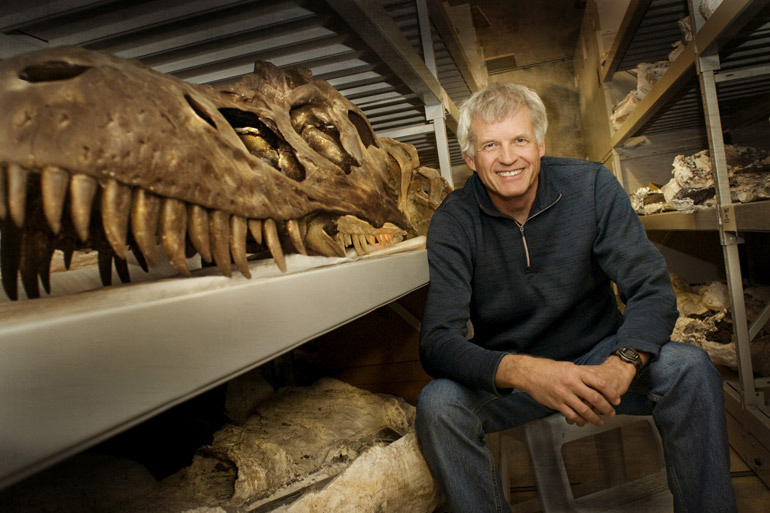 World dinosaur expert Prof. Phil Currie, of the University of Alberta, will be among those attending the Canadian Society of Vertebrate Paleontology meetings May 14-15 in Kelowna, sponsored by UBC Okanagan. With the recent discovery of a major “dinosaur trackway” fossil field in northern B.C., the Canadian Society of Vertebrate Paleontology – the country’s most knowledgeable dinosaur scientists – will have plenty to discuss at their first meeting in Kelowna. The two-day event of scientific paper presentations and technical sessions is hosted by the Department of Earth and Environmental Sciences and the Department of Biology, Irving K. Barber School of Arts and Sciences, UBC Okanagan. The two-day conference May 14 and 15 will be held at the Rotary Centre for the Arts in Kelowna. Among the presenters is world dinosaur expert Prof. Phil Currie. Currie is an internationally renowned palaeontologist whose scientific accomplishments have led to a greater understanding of dinosaurs and their scientific significance. Currie, who will be awarded an honorary doctorate at UBC’s Convocation ceremonies in June, is Canada Research Chair in Dinosaur Paleobiology at the University of Alberta. Currie and other experts will be available for media interviews over the two days.